Lush greens, tall trees, beautiful horizon, a valley at your doorstep and a waterfall. You don't see that on mtv cribs! Think they'd have internet access out there? Maybe not. But hey, who cares? Would you, if that's where you lived? Come to think of it, there was another waterfall to the left of this structure. 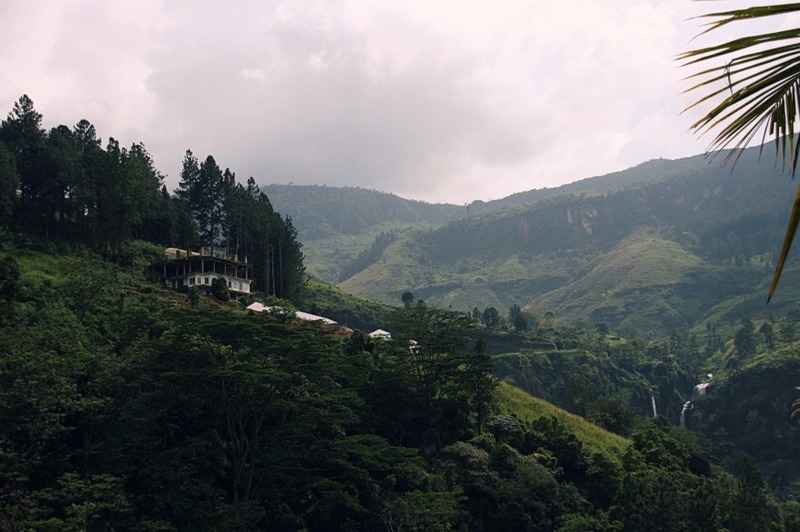 Took this from the restaurant we stopped at for lunch, en-route Nuwara Eliya - SL. Even more reasons why this could be a dream-home spot.